Permanent DVD and Blu-ray release date was set for April 3, 2018 and available on Digital HD from Amazon Video and iTunes on April 3, 2018. 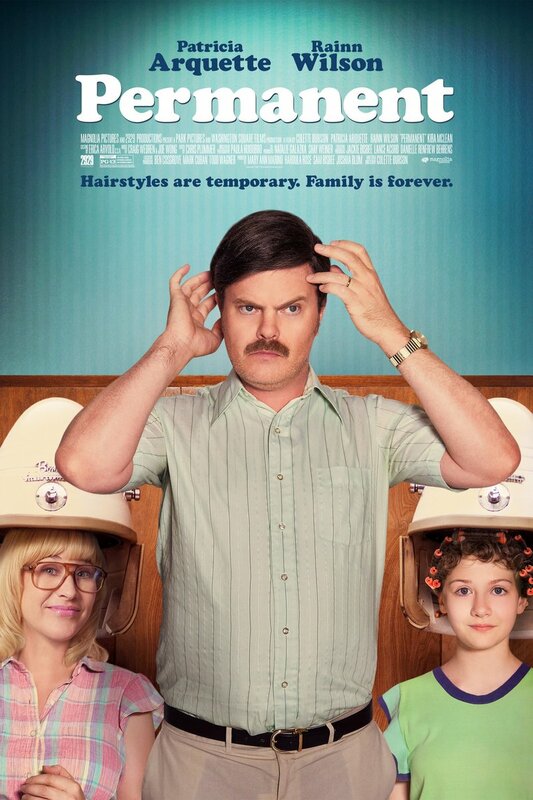 In 1982, Jim, Jeanne and Aurelie Dickson move to a new town in the south. They each struggle to fit in. Jim tries to conquer his fears related to swimming and middle age. Jeanne tries to spice up her marriage. Aurelie doesn't have such great aspirations. She's a pre-teen obsessed with fitting in at her new school. When she sees that the southern girls all have Farrah Fawcett hair, she begs Jeanne to allow her to get a permanent. Instead of taking Aurelie to a professional salon, Jeanne tries to cut costs by taking her to a beauty school where one of the students turns Aurelie's hair into a colossal joke by allowing the perm solution in too long. The "afro," as the kids at school call it, leads Aurelie and her parents through a wide range of experiences that end in tears and laughter.